How do you make money when everything is going free? The Curve is free, expensive and everything in between. It is a revolutionary new way of doing business; embrace giving some things away for free, use the internet to forge direct relationships with a global audience, and take people on a journey from freeloaders to high-spending superfans. The Curve is this year's hottest business book. 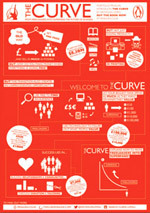 To celebrate the launch of The Curve download the companion eBook FREE! How can you embrace free, while finding the superfans who will help you thrive? 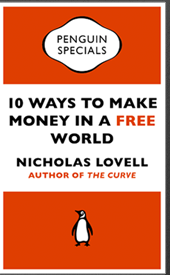 How can you make money in the Free world? Here are ten ideas to reshape your future. Welcome to the Curve. Nicholas Lovell is the author and consultant who helps companies embrace the transformative power of the Internet. His blog, GAMESbrief, is read by those seeking to learn how digital is transforming gaming – and how to apply that knowledge to other industries. His clients have included Fireﬂy, nDreams and Square Enix (creators of Tomb Raider), as well as Channel 4 and IPC Media. His articles have appeared in TechCrunch, Wired and the Wall Street Journal. We all need a little inspiration now and then. If you're running a business or financing the creation of your art using The Curve, this is a handy visual reference to some of the basics. We hope you'll download and share the image. This is also available as a high quality poster, either framed or unframed. If you like it, please order a copy for your office, home or studio. 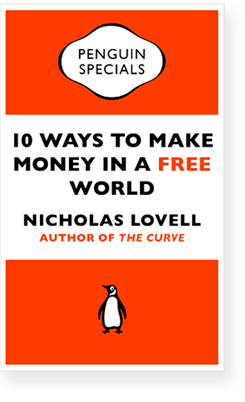 'An astute and perceptive guide to the new rules for making money in a radically disrupted internet economy. 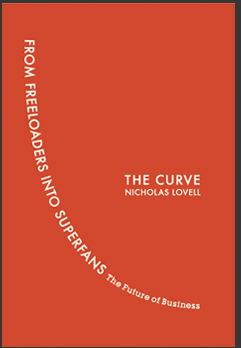 The Curve by Nicholas Lovell is a new way of doing business and of seeing the world. With stories drawn from artists, toymakers, sports, food, manufacturing and more, The Curve is nothing short of a business thinking revolution. We all need a little inspiration now and then. If you're running a business or financing the creation of your art using The Curve, this is a handy visual reference to some of the basics. An exclusive private lunch for Nicholas and a maximum of 20 guests in early December at BAFTA. Join us for a unique opportunity to discuss how to implement The Curve in your business or livelihood and meet some like-minded creators or business owners, not to mention the author himself. A very limited number of opportunities to get hands-on help from Nicholas. Deepen your understanding of The Curve, and how you can apply the principles to your work. These are ideal as one-to-one coaching or in small groups, and include copies of the book included to help you spread the idea further. Available as a limited number of half-day or full-day sessions. The ultimate offering for Curve superfans. Spread Curve thinking through your entire organisation. Nicholas will conduct a bespoke Curve masterclass for up to 25 people, and we'll supply books for everyone who needs one.